The weather and short days generally make January a slower time for real estate. It’s normal for prices to shift down and properties to spend more time on market. However, thanks to the new year and tax returns on the horizon, many home buyers and sellers are gearing up to enter the housing market soon. 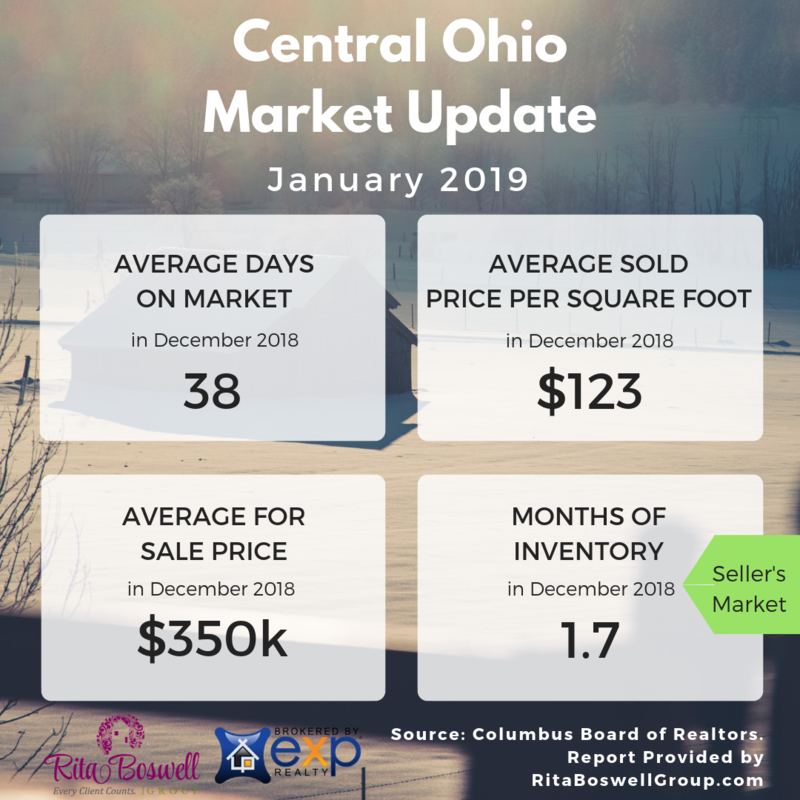 If that’s your situation, seeing Columbus real estate trends in the full report below will help you get a sense of where the market is now and where it is headed. The number of Homes For Sale in December 2018 was 3183 units. The number of Homes Listed in December 2018 was 1288 units. The number of Homes Sold in December 2018 was 1848 units. The number of Homes Placed Under Contract in December 2018 was 1860 units. The Average Price per Square Foot on Sold homes moved up in December to $123. 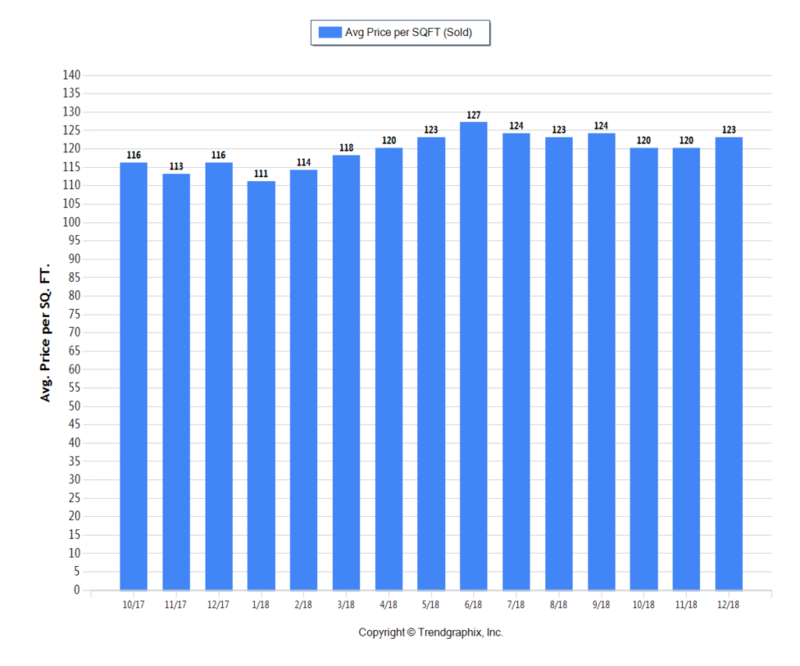 The Average Days on Market in December 2018 was 38 days. 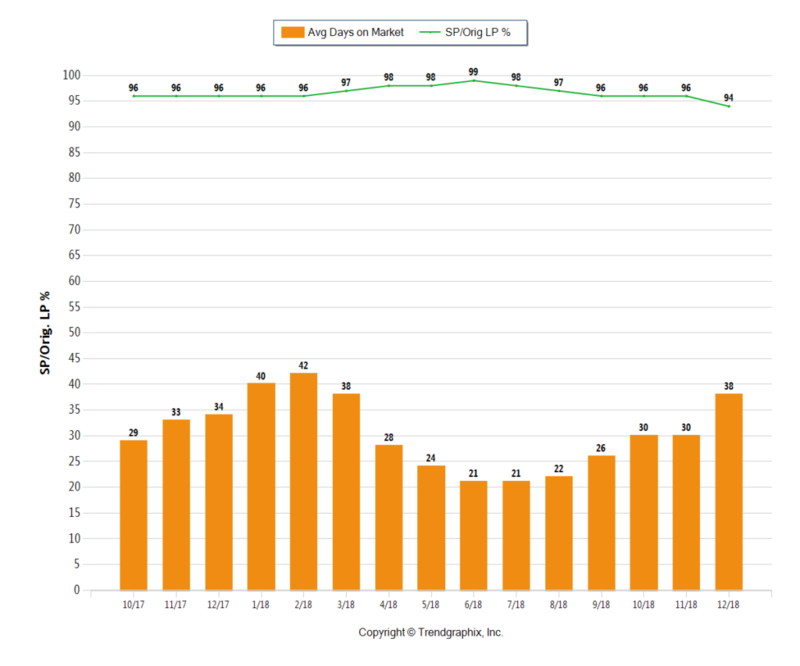 The Sold/Original List Price Ratio fell* to 94% in December 2018. 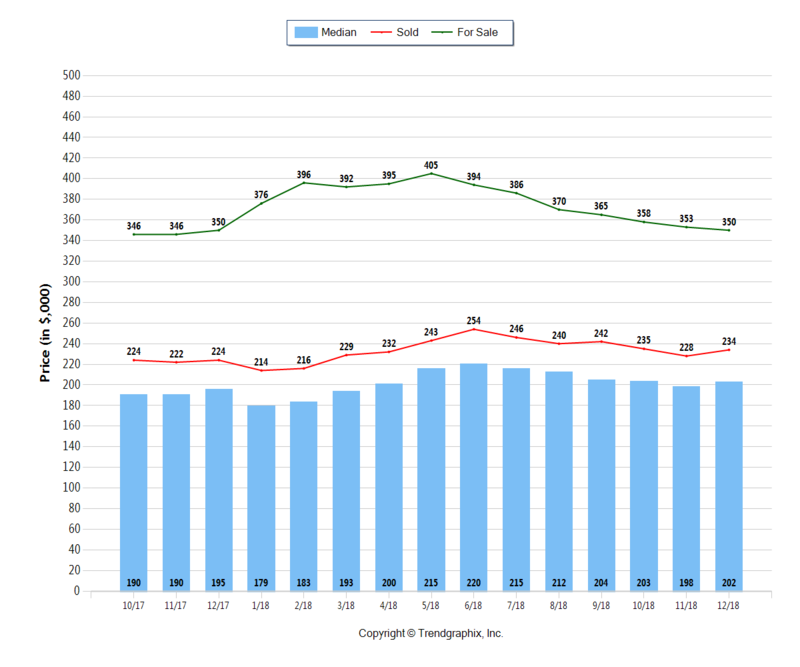 The Median Sold Price trend was neutral* in the Columbus area for December 2018 at $202k. The Average For Sale Price trend fell* in Columbus to $350k. 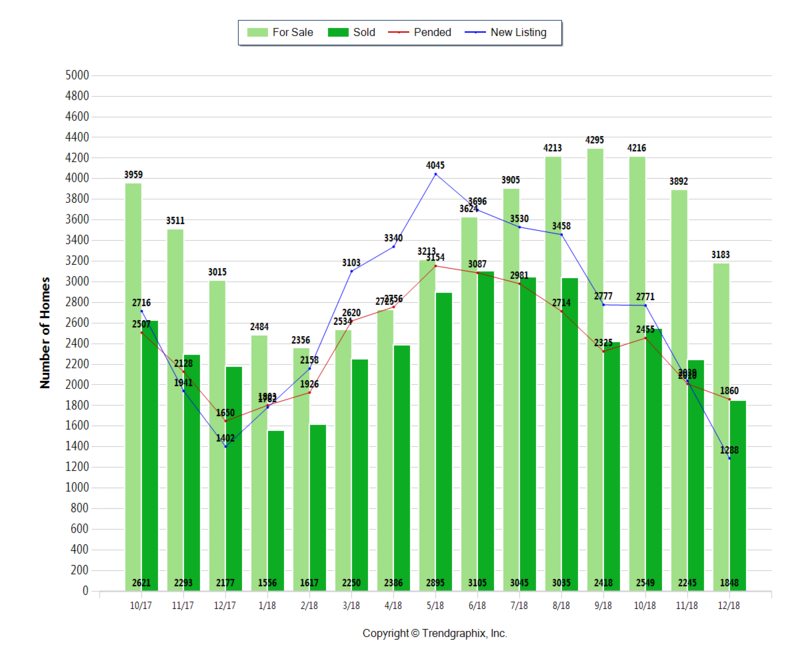 The Average Sold Price trend was neutral* in Columbus at $234k. It remains a Seller’s Market* in Columbus, Ohio! 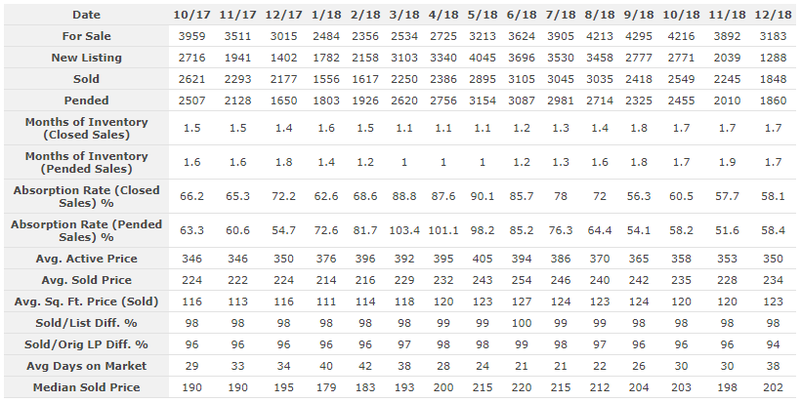 The Months of Inventory based on Closed Sales in December 2018 was 1.7. The Absorption Rate based on Closed Sales in December 2018 was 58.1%. If you’re selling your home soon, it remains a Seller’s Market. Short days and cold weather hamper home buyer activity, generally leading to longer days on market in January. Many people use tax returns towards a home purchase, so that will be a big driver of home buyer activity moving into February and March. That makes this a great time to talk with an experienced Realtor about getting your home ready to be listed for sale. 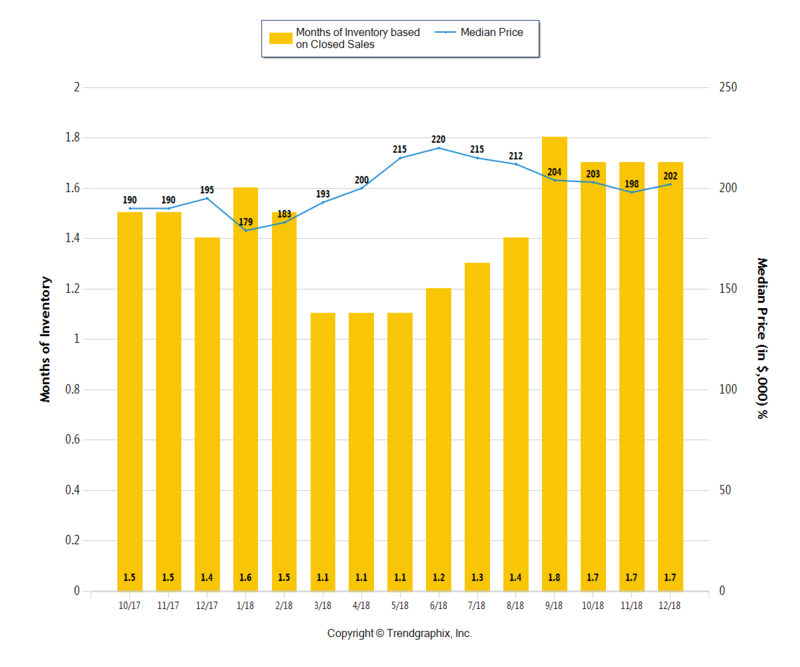 Central Ohio’s current Seller’s Market continues to be driven by lower priced homes. Higher priced homes are in a Buyer’s Market. Call or text Columbus Realtor Rita Boswell at 614-547-3229 to learn more about market conditions for your home. As people look towards tax season, you may be thinking about what to do with your tax return. Many use their tax returns towards a home purchase. This is a smart way to build wealth. Even if you’re only getting a little bit back from Uncle Sam, it may be enough for a down payment. Once you know how much you will get back, consult a mortgage professional to see if you can invest it in real estate. 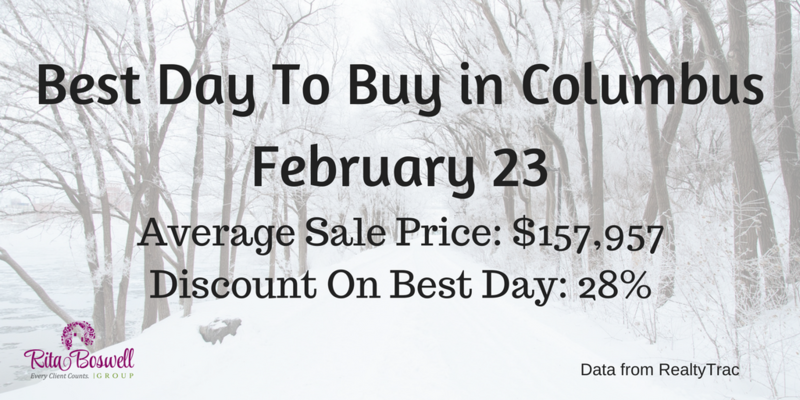 February 23 has been noted as the BEST day to buy a home in Columbus. To take advantage of the slightly lower prices and less frantic market conditions of winter, start your home search now.